Madeira is an archipelago in the north Atlantic Ocean, and is one of the Autonomous regions of Portugal. It belongs politically and culturally to Europe, even if it can be considered to be a geographical part of the African Plate. Madeira, known originally to the Romans as the Purple Islands, was rediscovered, possibly accidentally, by Portuguese sailors and settled by Portugal as early as 1418 or as late as 1420. The archipelago is considered to be the first discovery of the exploratory period initiated by Henry the Navigator of Portugal. 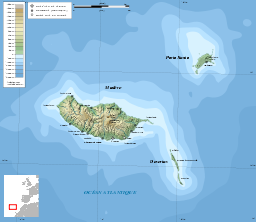 Only two islands of the archipelago are inhabited; Madeira Island and Porto Santo Island. Madeira is a popular year-round resort, noted for its Madeira Wine, flowers, and embroidery artisans, as well as its New Year's Eve celebrations that feature, purportedly, the largest fireworks display in the world. The valleys in the north of Madeira Island contain laurisilva forests, which have been designated a World Heritage Site by UNESCO. The Autonomous Region of Madeira is composed of Madeira Island, Porto Santo Island, the only inhabited islands, as well as Desertas Islands and Savage Islands. The archipelago lies about 360 miles from the coast of Africa, 535 miles from Lisbon, 230 miles from Gran Canaria, and 480 miles from Santa Maria, the nearest of the Azores. Madeira Island is the largest island of the group with an area of 286 square miles (741 square kilometers), a length of 30 geographical miles (57km), a breadth of 13 miles (22km) at its widest point, and a coastline of 80 to 90 miles. Its longer axis lies east and west, along which lies a mountain chain with a mean altitude of 4000 feet (1220 meters), considered the backbone of the island from which many deep ravines radiate outward to the coast. Its most famous cliff, the Cabo Girão, is one of the largest in Europe. The highest point on the island is Pico Ruivo, at 6107 feet (1862 meters). Madeira Island is the top of a massive shield volcano that rises about 3.7 miles (6km) from the floor of the Atlantic Ocean. The volcano formed atop an east-west rift in the oceanic crust. Construction of the bulk of the volcano began during the Miocene Epoch over five million years ago and continued into the Pleistocene until about 700,000 years ago. This was followed by extensive erosion, producing two large amphitheaters open to the south in the central part of the island. Volcanic activity later resumed, producing scoria cones and lava flows atop the older eroded shield. The most recent volcanic eruptions were on the west-central part of the island only 6,500 years ago, creating more cinder cones and lava flows. Madeira Island's geographical position and mountainous landscape result in a very pleasant climate. Temperatures are about 72°F (22°C) in the summer and about 61°F (16°C) during the winter. With its mild humidity, the weather of the island is classified as subtropical. Influenced by the Gulf Stream, sea water temperature is 72°F (22°C) during the summer and 61°F (16°C) in the winter. The island of Madeira is wet in the northwest but dry in the southeast. In the sixteenth century the Portuguese began building aqueducts to carry water to the agricultural regions. The most recent was made in the 1940s. Many are cut into the sides of mountains, and it was also necessary to dig 25 miles of tunnels. Today the aqueducts not only supply water to the southern parts of the island but provide hydro-electric power. There are over 1,350 miles of aqueducts which provide a remarkable network of walking paths. Some provide easy and relaxing walks through beautiful countryside, but others are narrow, crumbling ledges where a slip could result in serious injury or death. In the south, there is very little left of the indigenous laurisilva forest which once covered the whole island, since the original settlers set fire to the island to clear the land for farming, and gave it the name it now bears. (Madeira means "wood" in Portuguese). However, in the north, the valleys contain native trees of fine growth. These laurisilva forests, notably the forests on the northern slopes of Madeira Island, are designated a World Heritage Site by UNESCO. A long, narrow, and comparatively low rocky promontory forms the eastern extremity of the island, on which lies a tract of calcareous sand known as the Fossil Bed. It contains land shells and numerous bodies resembling the roots of trees, probably produced by infiltration. Madeira has three endemic birds: Zino's Petrel, Trocaz pigeon and Madeira Firecrest. It is also of importance for other breeding seabirds, including Madeiran Storm-petrel, North Atlantic Little Shearwater and Cory's Shearwater. 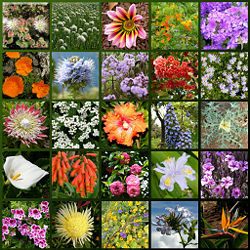 The Macaronesia region harbors an important floral diversity. In fact, their forests' composition and antiquity are quite similar to the one found in the Tertiary period that had covered Southern Europe and Northern Africa millions of years ago. The great biodiversity of Madeira is phytogeographically linked to the Mediterranean region, Africa, America and Australia. Funchal, the capital of Madeira Island, is on the south coast of the principal island, and is a modern city with about 100,000 inhabitants. Funchal is located in a unique area; the natural geological features form an amphitheatre surrounding the city, which begins at the harbor and rises almost 1,200 meters high on gentle slopes. This provides a natural shelter and was the initial attraction for the first settlers. 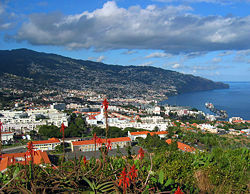 Madeira's capital for more than five centuries, Funchal is said to have been named as such because of the abundance of fennel (funcho—in Portuguese) growing there. Other main cities are: Porto Santo Town (also known as Vila Baleira), Ribeira Brava, Machico, Câmara de Lobos, Santa Cruz and Santana. The five-mile beach of Porto Santo island. Pliny the Elder mentions certain "Purple Islands," the position of which with reference to the Fortunate Islands or Canaries might seem to indicate Madeira islands. Plutarch (Sertorius, 75 C.E.) referring to the military commander Quintus Sertorius (d. 72 B.C.E. ), relates that after his return to Cadiz, "he met seamen recently arrived from Atlantic islands, two in number, divided from one another only by a narrow channel and distant from the coast of Africa 10,000 furlongs. They are called Isles of the Blest." The estimated distance from Africa, and the closeness of the two islands, seem to indicate Madeira and Porto Santo. There is a romantic tale about two lovers, Robert Machim and Anna d'Arfet in the time of the King Edward III of England, fleeing from England to France in 1346. They were driven off course by a violent storm, and cast on the coast of Madeira at the place subsequently named Machico. On the evidence of a portolan navigation chart dated 1351, preserved at Florence, Italy, it would appear that Madeira had been discovered long before that date by Portuguese vessels under Genoese captains. 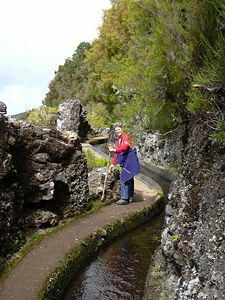 Aqueducts provide a remarkable network of walking paths on Madeira. In 1419, two of the captains of Prince Henry the Navigator, João Gonçalves Zarco and Tristão Vaz Teixeira, were driven by a storm to the island known to them as Porto Santo, or Holy Port, in gratitude for their rescue from shipwreck. The next year an expedition was sent to populate the island, and, Madeira being described, they made for it, and took possession on behalf of the Portuguese crown. The islands started to be settled circa 1420 or 1425. In September 1433, the name Ilha da Madeira (Madeira Island or "island of the wood") appears on a map; the first time noted in a document. The three captain-donees had led, in the first trip, the respective families, a small group of people of the minor nobility, people of modest conditions and some old prisoners of the kingdom. To gain the minimum conditions for the development of agriculture, they had to rough-hew a part of the dense forest of laurisilva and to construct a large number of channels (aqueducts), since in some parts of the island, they had water in excess while in other areas water was scarce. In the earliest times, fish constituted about half of the settlers' diet, together with vegetables and fruit. The first local agricultural activity with success was the raising of wheat. Initially, the colonists produced wheat for their own sustenance but, later began to export it to Portugal. However, in time grain production began to fall. To get past the ensuing crisis Henry decided to order the planting of sugarcane—rare in Europe and, therefore, considered a spice—promoting, for this, the introduction of Sicilian beets as the first specialized plant and the technology of its agriculture. Sugar production attracted to the island Jewish, Genoese and Portuguese traders. Sugarcane production was a leading factor in the island's economy. Sugarcane cultivation and the sugar production industry would develop until the seventeenth century. After the seventeenth century, Madeira's most important product has been its wine, sugar production having since moved on to Brazil, São Tomé and Principe, and elsewhere. Madeira wine was perhaps the most popular luxury beverage in the colonial Western Hemisphere during the seventeenth and eighteenth centuries. In 1921, the Austro-Hungarian Emperor Charles I was deported to Madeira, after an unsuccessful coup d'état. He died there one year later. In July 1, 1976, following the democratic revolution of 1974, Portugal granted political autonomy to Madeira. The region now has its own government and legislative assembly. 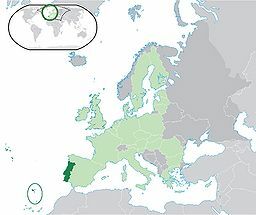 Since 1978, Portugal, which is a parliamentary representative democratic republic, conceded political autonomy to its archipelagos, Madeira and the Azores due to the great distance from Lisbon. The regional autonomies have Regional Governments that are constituted by the regional government president and by regional secretaries. Just like the districts of mainland Portugal, Madeira is also further subdivided into 11 municipalities. 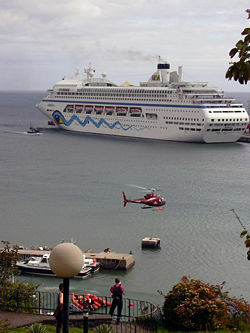 The busy port of Funchal. The economy of Madeira operates as a part of Portugal's economy, which has become a diversified and increasingly service-based economy since joining the European Community in 1986. Over the past two decades, successive governments have privatized many state-controlled firms and liberalized key areas of the economy. The setting-up of the Free Industrial Zone has led to the installation, under more favorable conditions, of infrastructure, production shops and essential services for small and medium-sized industrial enterprises. The establishment of the Madeira International Business Centre (Free Zone of Madeira), a tax-privileged economic area, offers businesses financial and tax advantages through the Industrial Free Zone, the Off-Shore Financial Centre, the International Shipping Register organization, and the International Service Centre. The region's businesses are associated with hotels, wholesale trade and banking branches, as well as food, beverages and tobacco industries, construction and public works, and energy (production and distribution of electricity). 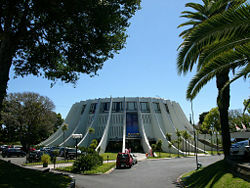 The large firms are mostly located in the municipality of Funchal and neighboring municipalities. Tourism contributes 20 percent to the region's GDP, providing support throughout the year for commercial, transport and other activities and constituting a significant market for local products. The island of Porto Santo, with its nine kilometer long beach and its climate, has recorded in ten years to 2007 a substantial increase in its hotel accommodation capacity. Visitors are from the European Union, with German, British, Scandinavian and Portuguese tourists providing the main contingents. The average annual occupancy rate was 57.4 percent in 2001, reaching its maximum in March and April, when it exceeds 70 percent. Madeira has considerable potential since the necessary infrastructure has been established and adequate investment incentives introduced for expanding its hotel and catering structure in a controlled manner, without disturbing the socio-economic and environmental balance, and without neglecting the conservation of its nature, which is one of tourists' main reasons for visiting Madeira. The islands have two airports, Funchal Airport on the island of Madeira, and the other in the city of Vila Baleira on Porto Santo Island. Flights to the islands are mostly made from Lisbon and Porto, but there are also direct flights from other major European cities and other countries, such as Brazil, Venezuela, and South Africa. 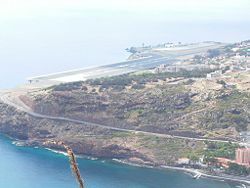 Funchal airport was infamous for its runway built on a high embankment, falling away abruptly to the sea and with difficult upwinds causing to uplift the aircraft when landing. It did have a short runway, which has been extended to support Boeing 747-400 (one of the biggest airliners today). Transport between the two main islands is done by plane or by ferries which allow for the transportation of vehicles. Visiting the interior of these islands is now very easy, due to large developments on the islands during Portugal's economic boom. There are modern roads, reaching all points of interest on the islands and there is also a good transportation network. There were 245,806 inhabitants in 2006 in the two main islands, while only 4,800 live on Porto Santo Island. The population density is 337 inhabitants per square kilometer in Madeira and 112 in Porto Santo. Most of the early settlers were from the Portuguese regions of the Algarve and Minho. The islands have historical monuments, streets and plazas (praças) with many gardens and typical small towns. Native Portuguese people are ethnically a combination of pre-Roman Celts along with some other minor contributions by Romans, Germanic (Visigoths, Suebi), Jews, and Moors (mostly Berbers and some Arabs). Madeira was colonized by Portugal in the early fifteenth century. The language spoken is Portuguese. Madeira, as a part of Portugal, has no state religion. The great majority of the Portuguese population (84 percent) belongs to the Roman Catholic Church, but only about 19 percent attend mass and take the sacraments regularly. On a village level the parish church controls spiritual affairs. The people publicly mark their faith by ritual performance in the traditional festa. The festival year begins in February with Carnaval. In spring there is Funchal's Festa da Flor (flowers) and Bachfest (music). In mid-August, there is a pilgrimage to the church of Madeira's patron saint (Nossa Senhora do Monte). Wine harvest festivals take place during autumn, and Christmas and year's end festivals take place in Funchal (Festa de Sâo Silvestre). Today there are few arranged marriages, and intermarriage among villagers is normal. The family has been the basic unit of Madeira's agricultural economy, and continues in the service economy. Divorce is rare, though philandering and abandonment are not. Within the family, tasks are allocated by gender—girls learn needlework, while boys learn viniculture, artisan trades, and construction. Inheritance tends to go to the caretaker of elders. The church reinforces the central role of family and respect for authority. Prior to autonomy (1976), schooling was minimal: it is now compulsory through primary level (age 11). Further educational options, mostly vocational in nature, require moving to Funchal or off the islands. 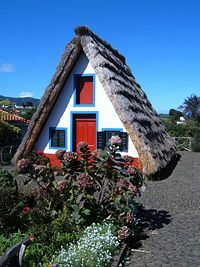 Life in rural Madeira has been compared to a medieval estate, where people are socially and geographically immobilized in a virtual caste system legitimized by religious orthodoxy. The sophisticated ambiance, and educated citizenry of tourism-rich Funchal is a sharp contrast to the surrounding rural society. The traditional peasant dwelling is a small, low building with thick stone walls covered in ivy. Pastel stuccoed exteriors with glazed tile trim, russet tile roofing, shuttered windows, and multistory units have superseded older halftimbered, ridged-thatch, A-frame rural structures. By contrast, Funchal has palatial homes, malls, colonial buildings, former country estates (quintas) used as museums, and high-rise glass and concrete hotels. The Casino Park complex is the most striking. 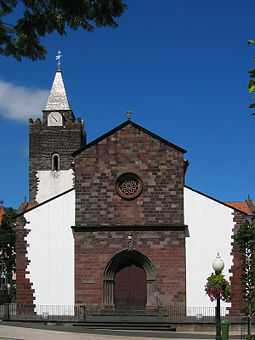 Probably the most central point of Funchal is the Sé Cathedral. Built between 1493 and 1514 by Pêro Annes in Manueline style it represents one of Madeira's numerous treasures. The cathedral blends Moorish, Gothic, Romanesque, and Manueline design elements. In old parts of the city, tiny artisan workshops line narrow cobbled alleys. Traditional pastries in Madeira usually contain local ingredients, one of the most common being mel de cana, literally sugarcane honey—molasses. The traditional cake of Madeira is called 'Bolo de mel', which translates as 'Honey Cake' and according to custom is never cut with a knife but broken into pieces by hand. It is a rich and heavy cake. Visitors to the island will see plentiful examples of handicraft on sale in shops. Madeira is a fortified wine made in the Madeira Islands, which is prized equally for drinking and cooking; the latter use including the dessert plum in Madeira wine. The method of vinification is similar to that employed in other parts of Portugal, but the method employed for hastening the maturation of the wine is peculiar and characteristic. This consists of subjecting the wine to a high temperature for a period of some months in buildings called estufas specially designed for this purpose. This process is meant to duplicate the effect of a long sea voyage of the aging barrels through tropical climates. Madeira was originally unfortified, but the addition of grape spirits increased its ability to survive long voyages. The temperature varies from 35° to 60°C (100° to 140°F), according to the quality of the wine, the lower temperature being used for the better wines. The estufas are built of stone and are divided into compartments heated by means of hot air obtained from a system of stoves and flues. Much of the characteristic flavor of Madeira is due to this practice, which hastens the mellowing of the wine and also tends to check secondary fermentation inasmuch as it is, in effect, a mild kind of pasteurization. 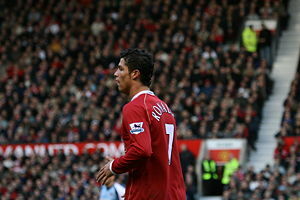 Cristiano Ronaldo, world class football player. Madeira has two football (soccer) teams in the BWINLIGA, Portugal's top league—Marítimo of Funchal and Nacional (for whome Cristiano Ronaldo played before going to Sporting Lisbon)—are the two biggest and most supported teams in the island. Marítimo has also nurtured other great players such as Pepe, now at Real Madrid, Tonel, now at Sporting and Manduca, who was transferred to Benfica. Marítimo has also enjoyed various campaigns in the UEFA Cup having recorded famous results against teams such as Juventus, Leeds and Rangers. In 2003-04 Nacional achieved fourth place, their best classification to that date. Madeira has had a considerable amount of success in professional basketball, with CAB Madeira having won numerous titles, especially their female team. CAB are often seen competing in European competition such as the FIBA EuroCup, and former stars include Filipe da Silva and ex-Los Angeles Lakers player Ike Nwankwo. Madeira Andebol SAD, the island's only professional handball team is one of the most successful in the country, while rally car racing, fishing and golf are other popular sports played on the island. ↑ Censos 2011 Retrieved March 19, 2012. ↑ 3.0 3.1 GDP per inhabitant in 2008. Eurostat. Retrieved March 19, 2011. This page was last modified on 6 August 2018, at 18:44.